As you know, we live in the age of social media. At present, there are around 2.7 billion active social media users worldwide, and of those people, around one billion own active Instagram accounts. Instagram’s flawless functionality coupled with its highly-digestible, highly-visual nature has made it one of the world’s most popular social networks. And due to its immense popularity, this fast-paced social media space has become the perfect playing field for forward-thinking eCommerce brands looking to market their products and expand their audience. Moreover, with the launch of Instagram’s brand new and entirely user-friendly eCommerce payment portal, it’s now possible to promote and sell your goods directly at source, meaning there’s never been a better time to improve your Insta game. 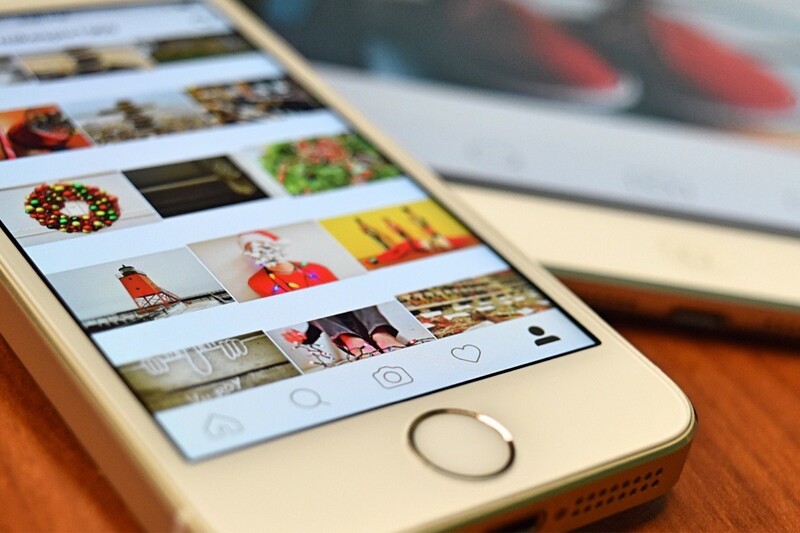 It’s clear: Instagram should form a pivotal part of any social media marketing campaign, and to enjoy maximum engagement from your brand’s page, getting your bio right is essential. There’s a science to creating an Instagram bio that gets noticed, and there are many elements to consider. Here’s a definitive guide for your reading pleasure. Your Instagram bio will give you a short snippet of 150 characters, plus one external link to utilize. It’s possible to customize your username (this will be separate from your handle) to help enhance your bio. This will afford you 30 more characters to work with. Most Instagram users will scan over your account, so it’s crucial to include the most important information relating to your business in the most digestible way possible – which we will cover in this guide. Now that we’ve examined the anatomy of an Instagram bio, let’s explore the key ingredients required for optimal Instagram bio success. As mentioned, an Instagram bio only offers a short window of space to share essential information with prospective customers. This means you need to make every word count. While brevity is key, if your goal is to create a successful Instagram bio – one that people will forge an instant connection with – you need to tell people what products or services you offer and whom you serve. If you fail to do so, you will have wasted your 150 characters. With an Instagram bio, you need to get to the heart of who you are – and while witty plays on words are effective, if you don’t make your value clear from the get-go, poetic prose will offer your customers (and business) little value. Take Beyond Yoga, for example. 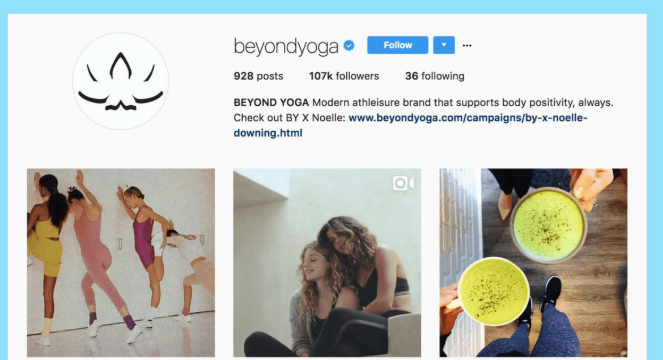 An established purveyor fitness apparel, Yoga First gets straight to the heart of its products (as well as the main reasons for its existence) in a few brief moments with this Insta bio – a clear driver for the brand’s continual growth. While your bio link presents a prime opportunity to direct prospects to a desired web or landing page, there are other forms of clickable links you can use within your 150-character limit to boost your visibility and generate interest. By creating a branded hashtag and weaving it into your bio copy seamlessly, you’ll be able to direct page visitors to a curated feed that includes engaging content. Here, the bracelet brand Pura Vida uses the branded hashtag #PuraVidaBracelets to offer its visitors an extra layer of engagement beyond its primary Instagram page. As the brand actively encourages its customers and fans to post images and related content using the hashtag, when people click on it, they essentially open themselves up to a whole new world of Pura Vida products. With over one million active followers, it’s clear that this approach is working. If space permits, pepper eye-catching emojis into your bio to spark visual interest. Use directional characters or icons, including arrows and pointing fingers, to draw extra attention to specific parts of your bio. Source a dedicated Instagram-based font customizer to help your text stand out from the crowd. If you want a particular URL to grab attention, type it in your bio near the top in addition to using it as your primary clickable link. By now, you should be well acquainted with the term “bio link.” To ensure your bio yields real results, you will need to maximize your bio link and drive all-important traffic to your eCommerce site or latest product landing page. It’s crucial to remember that you can chop, change, and evolve your Instagram bio over time in response to the landscape around you. An entry page for a competition or contest you’re running. A campaign video for a new product or service. A specific product landing page. A subscription page for your latest eBook or whitepaper. A recent blog article you feel would offer your audience niche value. A curated list of links relevant to your brand. Whatever you decide to include, always make sure it fits in with your brand’s current strategy. Moreover, to make your bio link more eye-catching, you should use link customizers like Bitly to crop your URL and give it a catchy hook. Doing so will also empower you to track how many page visitors click through to the link to measure its success. Adding your contact details to your Instagram bio can serve as an incredibly effective customer engagement tool as it offers your prospects more options to reach out and connect with you than direct messaging alone. If you present your prospects with more than one on-page contact option, not only will you be able to spread your inquiries across more than one inbox, making requests far more manageable; you will also be adding another layer of transparency to your profile. With most marketing communications, including a clearcut call-to-action is essential if you want people to respond to what you have to say – Instagram bios are no exception. As you undoubtedly know, Instagram is an image-based platform, which gives you ample opportunity to tell a story with your videos and pictures. To supplement your award-winning Instagram bio, you should utilize the power of Instagram Stories, saving your best stories as Highlights that will permanently feature directly below your biographical copy (until you choose to delete them) for the world to see. Instagram Stories offer the chance to share eye-catching brand narratives with your audience, and by saving your best efforts as Highlights, you will be able to extend your bio with visuals that inspire, engage, and attract prospective customers to your brand. 300 million users interact with Instagram Stories daily, so if you’re looking to squeeze all the value you can from your Insta bio, this is a tactic worth trying. While the success of your Instagram bio largely boils down to employing a seamless mix of the above tactics, it’s vital to remember that in order to truly connect with prospective buyers, you need to offer real value while speaking to them in a warm and natural way. If your approach is too robotic or deemed too salesy, people will seldom flock to your page. At the heart of your Instagram bio writing efforts, you should always keep your language flowing and accessible. 150 characters may not be much, but if you use the space wisely, success will be yours for the taking. Best of luck, and for more inspiring insights, explore our study into the evolution of the eCommerce customer.